I enjoy learning about new products and sharing beauty tips with others. I believe that great products can also be inexpensive. We can look like a million bucks without spending that much! Itchy skin around my eyes! What are you going to wear for Christmas or NYE ? 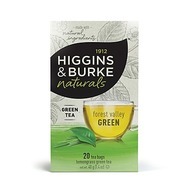 Higgins and Burke Forest Valley Green Tea Recommended? You Betcha! 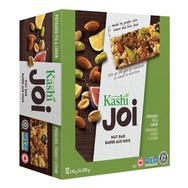 Kashi joi pistachio fig and lemon Recommended? You Betcha! 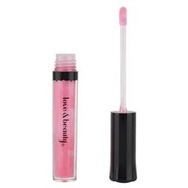 Love & Beauty Lip Gloss Recommended? You Betcha! 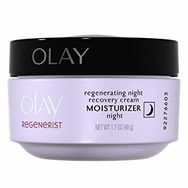 Olay regenerist Night recovery cream Recommended? You Betcha! 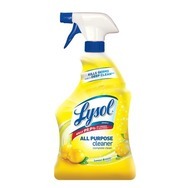 Lysol All Purpose Cleaner Lemon Breeze Recommended? You Betcha! 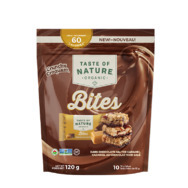 Taste of Nature Organic Snack Bar - Dark Chocolate Caramel Recommended? You Betcha! 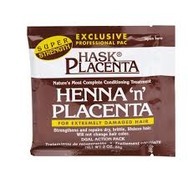 Hask Placenta Henna n' Placenta Recommended? You Betcha! Swiffer Duster Extender Recommended? You Betcha! Nature’s Bounty Hair, Skin & Nail Gummies Recommended? You Betcha! Fontaine Sante Humm! Hummus Cocktail Recommended? You Betcha! Your profile picture is beautiful!! Great job on all the campaigns! I love trying different cupcake recipes and playing around with the frosting!! I also like baking cream puffs, brownies, coconut cream pie and assorted squares. What are your favourite desserts to bake? No, I wish I baked the desserts in my profile picture. They are from a work conference I went to. Thanks for adding me back as a friend. Thanks so much. She's a little beauty queen for sure. She's a smart little girl already. Whenever she's awake she constantly cries to be held. I can't believe tomorrow she will be four weeks old already. Since it's my last baby I'm trying to cherish every minute but I still find the grow too fast. My son is already 17 and graduated and my other daughter will be two in November. I better stop blinking or I might miss something. I hope all is going well with you! All the best! I hope that you enjoy your much deserved summer break! I don't blame you for being happy for having the summer off. I am sure you work so hard and deserve the break. The older I am getting time just goes by so quickly. Usually I only work three days week unless someone needs time off, vacations or just sick. My husband is a HVAC Installer so Summer is his busy time off the year. What am I saying he is always working sometimes seven days a week. In the Winter he installs furnaces with his son Billy who lives with us and that just finished his college course for his Gas Technician License. We are so proud. So probably no vacation. But I will enjoy my patio, taking my dog Molly for walks and gardening. Hope you have a Wonderful Summer with your family. Thanks for taking the time to write me back. Have a nice night Christine. Thanks for taking the time to write me back. I had a full week of work this week. But I am enjoying my Sunday off. I remember your a teacher soon you will be off hopefully for the summer. Enjoy ! Thank you for the very nice comments you are just the same so nice and also thoughtful. Hope your having a Wonderful Sunday and have a Great Week. Thank you for accepting. Have a good weekend to you to.